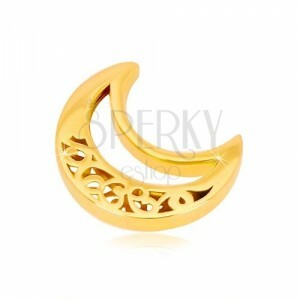 Yellow glossy 14K gold pendant with motif of half-moon - ornamental notches, notch of smaller half-moon shape. 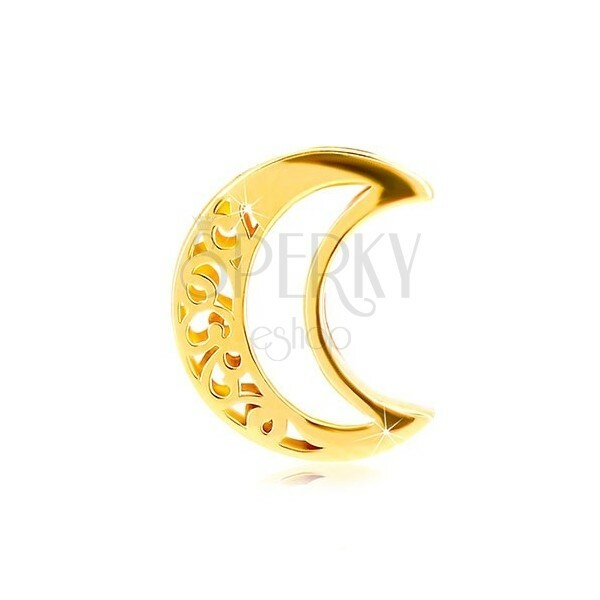 Yellow 585 gold pendant has a shape of half-moon. 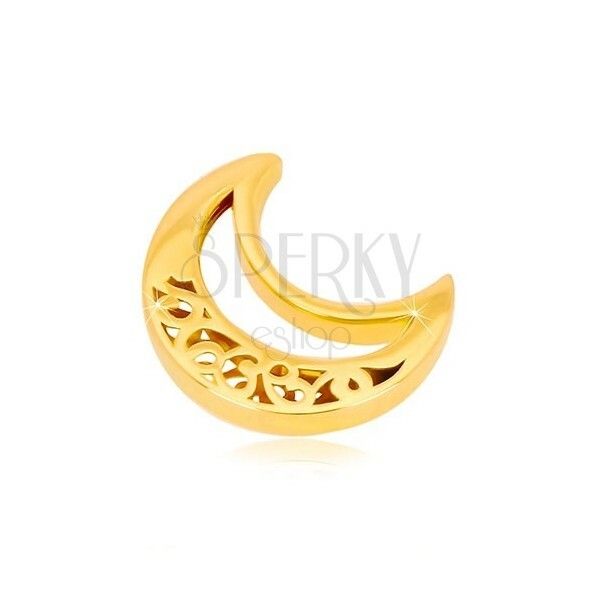 Half-moon is smooth, glossy and decoratively carved. Ornamental notch complements notch of half-moon shape too. Motif is double sided. There is a notch in the upper part of the chain.